Annabelle Blazewick, 89, of Center Township in Butler, passed away Tuesday, September 11, 2018 at the VNA Inpatient Hospice in Butler. Born August 21, 1929 in Butler, she was a daughter of the late Frank and Mary Jane Puntureri Ietto. Annabelle was a co-owner of Wexford Foodland who enjoyed working along side her husband and other family members. She also worked for Earl Sangermano at the Shop-n-Save in Butler. She was a devoted mother and cherished her four grandchildren. In her spare time, she enjoyed working in her garden and spending time with her brothers and sisters who have always remained close. 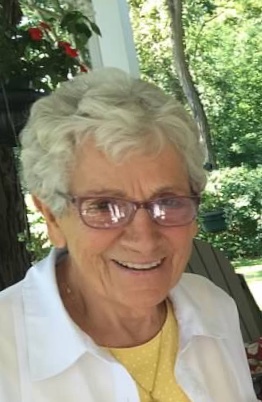 Annabelle was a member of St. Peter Roman Catholic Church in Butler. Surviving is her daughter, Debra (Christopher) DiCianna and her son, Frank (Kristin) Blazewick, both of Cranberry Township. Four grandchildren: Michael and Natalie DiCianna and Ashley and Matthew Blazewick. A brother, Sam (Eleanor) Ietto of Butler. Four sisters: Frances Cypher of New Wilmington, PA, Blanche Ietto of Butler, Virginia (Phil) Ball of Youngwood, PA. And Patricia “Joy” (Roy) Rader of Butler. In addition to her parents, she was preceded in death by her husband, Robert Blazewick who passed away January 19, 2018. They were married June 22, 1963. Her sister, Pauline Fontaine and her brother, Mickey Ietto. Friends will be received at the Geibel Funeral Home, 201 East Cunningham St. Butler, PA 16001 from 9:30 am. until 11:30 am. Saturday. A Mass of Christian Burial will be Celebrated at 12:00 pm Saturday from St. Peter Roman Catholic Church, 127 Franklin St. Butler. Interment will follow at St. Peter Cemetery. In lieu of flowers, memorial donations may be made to the VNA Inpatient Hospice, 115 Technology Drive, Butler, PA 16001.